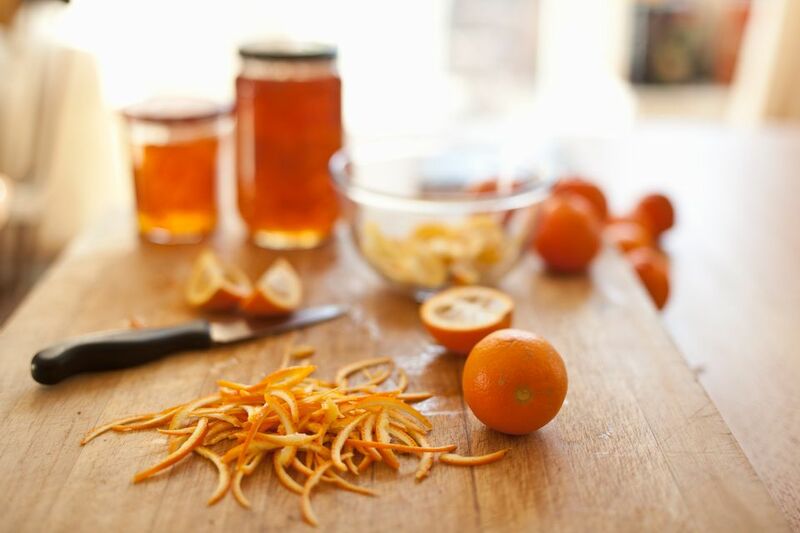 This recipe for Polish kumquat-orange marmalade or kumqwat marmoladą (KOOM-kvaht marr-moh-LAH-dohn) has a splash of lemon juice to add brightness. Poles love their dżem (jam) and fruit spreads, especially rosehip marmalade in pączki. Try a dollop of this marmalade on Persimmon Quick Bread. It's awesome! Read more about fruit butters, conserves, curds, jams, jellies and preserves. Place chopped kumquats and orange into a food processor and pulse until finely chopped. Measure fruit puree. You will need an equal amount of sugar. If you have 2 cups of fruit puree, you will need 2 cups sugar. Transfer to a heavy-bottomed saucepan with lemon juice. Bring to a boil, reduce heat and simmer until marmalade has thickened and coats the back of a spoon. The marmalade will continue to thicken as it cools. Sterilize as many jars and lids as you will need (probably 2-4 half-pint jars). Ladle hot marmalade into hot jars. Place lids on top and turn upside down on a clean towel. When jars are cool, turn upright and screw on caps. Store in the refrigerator up to 2 months or freeze up to 6 months. This also can be processed in a hot-water bath to keep at room temperature. Note: Before attempting a home canning project, read what the Ball canning jars company has to say about canning.